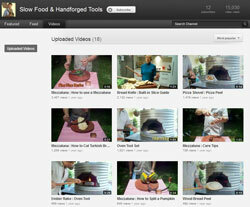 Our Handforged Tools Channel on You Tube - see Pete using all our wood fired oven tools including the mezzaluna and dough cutter. There's also a lovely video of Robyn demonstrating just how good her bread knife is. 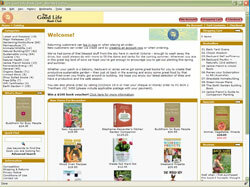 The Good Life Book Club has a truly great range of reference books including all the classics: Your Brick Oven, The Bread Builders & Build Your Own Earth Oven. 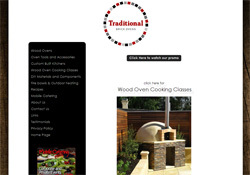 Traditional Oven, is a really interesting, quirky, personal site, chock full of detailed and practical information, working plans and photos and no hard sell - the way the internet should be. 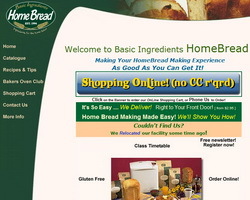 For a really clear and concise documentary of one man’s oven journey, check out Andy McNeilly’s site. 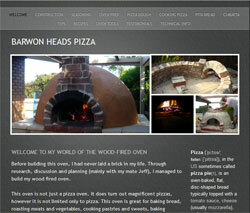 He kept detailed notes and took great pictures of his oven design and build and somewhere along the line, this never-laid-a-brick-in-his-life man fell in love with his creation - both the building and the cooking in it – and this site is a tribute to his passion. It’s also a tribute to his web skills, as his content and layout are deceptively simple looking, making it a very approachable site, a darn good read and a real confidence builder for go-it-aloners. Powerhouse couple Glen and Mary from Traditional Brick Ovens in South Australia not only do great ovens, but they've just built themselves an amazing new show room too. 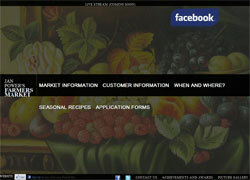 If you can, go in and see their stunning display or enrol in one of their terrific cooking classes. Mary is also a Master Oven Caterer and you can book her for functions - you gotta be quick though! 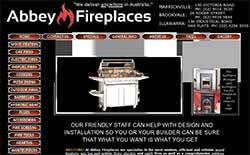 Peter and Kelly-Anne from Sydney Heaters are oven builders to the stars. You've probably already seen their work. It was featured on Jamie Durie's The Outdoor Room and it's appeared in beautiful houses in countless Home and Decorating magazines. They recommend and use Alfresco ovens in their outdoor rooms and seeing as they are also respected heating and fireplace advisors, they really are a treasure, whatever the season. 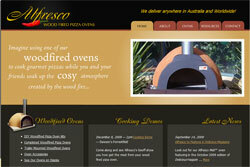 Another husband and wife team to watch are Trent and Jonelle from Alfresco Wood Fired Pizza Ovens in Perth, West Australia. Trent's family, are probably the most well known oven makers in Australia. They've been hard at it since 2003 and their classic ovens, their showroom, their regular cooking demo's and their website all reflect the quality, professionalism and the masses of experience they have behind them. Just FYI, it was their oven (and it was installed by Sydney Heaters, above) that featured in the 8 page spread in the October 09 issue of Delicious magazine, where Valli Little tries her hand at WFO cookery. 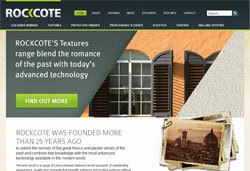 Rockcote, for the most beautiful architectural renders, washes, coatings and stone finishes in stunning natural colours. Rockcote is a worldwide phenomenon, a serious sustainable business leader and a Sunshine Coast legend. The founders, Bob and Chris Cameron, are generous, warm, real people with a fantastic outdoor kitchen of their own (you can see glimpses of it in some of our photos) and a real love for ovens, building, bread making, food, wine and just living well. If you've got questions or concerns about the surfaces in your outdoor kitchen, if you want beautiful rendered walls or you want to protect and nourish your stonework, this company will know what you want and will have what you need. 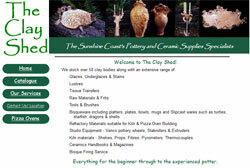 Another great place to source oven building materials and oven kits is The Clay Shed here at Kunda Park on the Sunshine Coast. Obviously from the name, they have an amazing range of clays and other earthy materials and they also have lot of technical knowledge on kilns and refractories, so if you're building your own pleasure dome, they'll be able to help. They also stock oven kits and both Cameron and Tania are sooo nice and helpful and easy to chat to that it's a double pleasure just talking ovens with them. 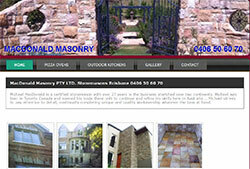 Also in Brissie, Michael MacDonald from MacDonald Masonry is doing some beautiful ovens that really fit into their surroundings. He’s a stone mason by trade and there are some lovely examples of his work on his facebook page. 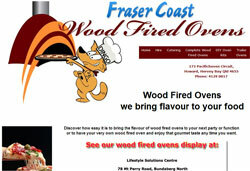 Yet another Queensland company we can happily recommend is Fraser Coast Wood Fired Ovens. Joel and Tomomi stock a range of Alfresco ovens, install ovens, hire ovens AND cater private functions and do festivals and the like – you can see already that they're fully committed to their work! In Victoria, we’ve grown to know and love the work of Ben Guilford from The Melbourne Fire Brick Company. Ben knows his bricks and cement and insulation and mortar inside out and if you’re self building, he has what you need, whatever that may be! He’s also just launched his own oven kits – he calls them the PreCut Kits – and they have absolutely everything in them that you will need to build yourself a stunning oven, including all the bricks, precut to the correct size and shape: what could be better than that! Also in Victoria, Michael Reid of Reid Ovens is a stone mason/brick layer par excellence who has been making and restoring fireplaces for over 30 years. As part of his fire and chimney skills, he and his sons have been building ovens for around 10 years now. Living in Bells Beach, he’s worked on some stunning beach and vineyard properties and the ovens he’s created are nearly as beautiful as their surroundings – and that’s saying something. 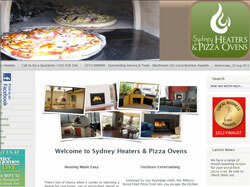 Back in New South Wales, Abbey Fireplaces now carries a set of four of our oven tools on a custom made wooden rack. You can see them on display in store. They also have a large range of ovens on display in all three of their shops and if you see them anywhere out and about, make sure you check them out as they have an amazing pizza oven set onto the back of a traditional London Cab: real pizza on the go! What has some flower place got to do with metal art you might ask? Well part of this complex at Highfields near Toowoomba in Queensland is a business called Scroll Magic. Once a year, in September, Scroll Magic is host to the Blacksmith Magic Festival. This is the Australian blacksmith's AGM; the only place you will see these rare and highly solitary creatures in a group. Watch them show off, watch them compete, watch them drink - it's a down and dirty, coal-fired weekend. Phone 07 46308679. 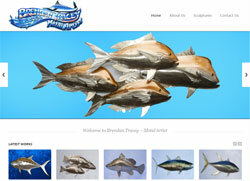 Another mate from the markets, Brendan from Metal Art does beautiful stainless steel ocean-themed sculpture. A lousy fisherman in reality, in his work he really captures whole schools of fish, giant mud crabs, even stingrays! This is our local convivia at Noosa, on the Sunshine Coast - which is the Italian word for group or organization, but sounds (and is) a lot more fun! There are over 800 such (largely autonomous) groups worldwide and they organize wonderful, grass roots events. If you haven't already joined the one closest to you, hurry up and find them on the web - you're missing out on amazing meals, really interesting recipes and some great new friends. 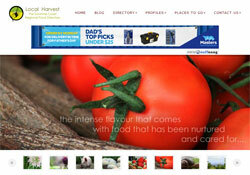 These are the folks that feed us - the providors of the Sunshine Coast - all listed out in one place. I've heard it from a few of my friends with bread makers that these guys do fantastic, high quality bread mixes and flours. Then I also hear they've got a pizza dough mix that's terrific - might be just the thing if you're new to this game and a bit nervous. We could never have started our business without the markets. The opportunities for product development, market research and the insight into your customers that setting up and operating a stall gives you are just an absolute gift to anyone contemplating launching a product. We don't get much of a chance to set up anymore, but we try (and we'd like to urge you to try) to attend when we can and support our amazing, local craftspeople and producers – any feedback, encouragement and/or payment you give them is an investment in your local community. 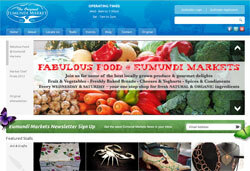 The World Famous Eumundi Markets on the Sunshine Coast in the state of Queensland - Australia. These markets are our spiritual home. In many guises - selling produce, the market hire business, making cheeses, making sauces, having the Lemonade Stand, being involved on the committee - we have been involved now for over 20 years. We still shop there every Wednesday and our mate Robyn Geddes has her beautiful breadboard and knife stall there every Saturday. 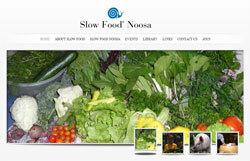 When we can, we try and get down to the fortnightly farmer's market at the Powerhouse in Brisbane. Between its spectacular setting beside New Farm Park and it's even more spectacular produce and food and flower stalls, it's an absolute treat just to wander round there. The one at Manly is also in a beaut spot right on the water. 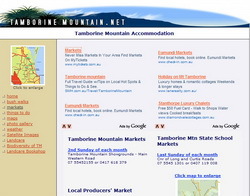 We also love these markets at Mount Tamborine. If you're down in Brisbane or the Gold Coast though and they're on, don't miss them. They are one of the last of the real old-style country markets - great produce, great plants, great atmosphere and a truly spectacular location. Phone: 07 55452155 ~ Mobile: 0417618379.